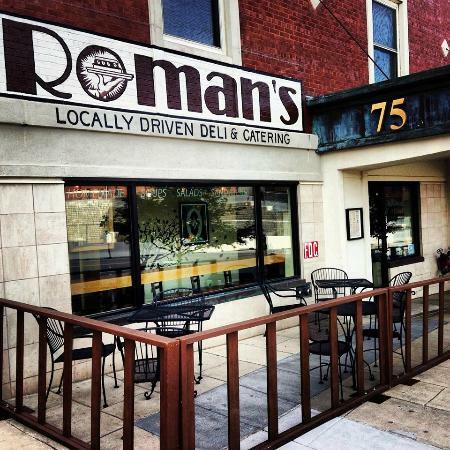 Roman's is an award winning deli located in the heart of Downtown Asheville, NC. 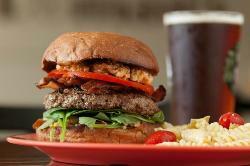 We have been selected as one of the top 12 Deli's in North Carolina & Asheville's Best Burger. Local draft beer & cider accompanies our menu which is created with numerous local ingredients that are brought fresh to our door daily. 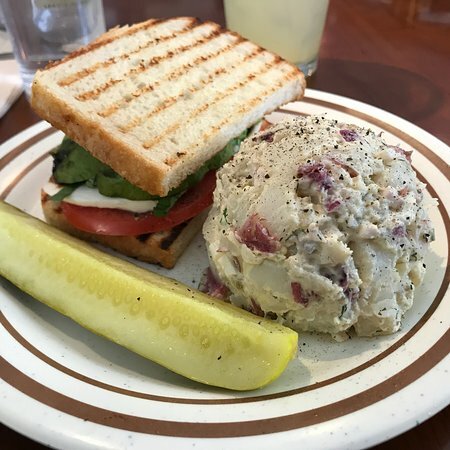 We offer made from scratch sandwiches, salads & soups and more. Located in the historic Vanderbilt Apartments building between the Pack Square Library & US Cellular Center. Great views of downtown & the historic Basilica St. Lawrence Church. Stopped in for a quick lunch and was not disappointed. Turkey pesto sandwich was super yummy and the coleslaw was unique with raisins and very tasty. My husband has the Italian and daughter had avocado caprese and both loved it. I always eat at this restaurant while visiting Asheville. Sometimes even two days in a row...that's how delicious it is! Everything is fresh and great customer service too! I live in Asheville and have a hard time going somewhere beside's Roman's for lunch. They have a fantastic menu. Everything I've tried on it is excellent. 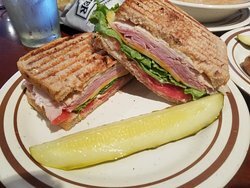 Roman's is in a fun location downtown and a must try! We ate here twice while visiting Asheville. 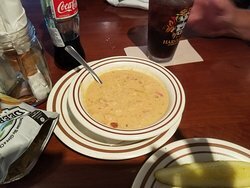 Great casual spot with home made soups, nice salads and interesting menu items. Everything is prepared above and beyond expectations. Great spot anytime , but especially convenient prior to an event at the Coliseum. I've never been inside but we ordered a bunch of sandwiches at work one day and they were amazing! 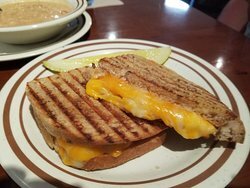 The bread was grilled and the ingredients were very flavorful. 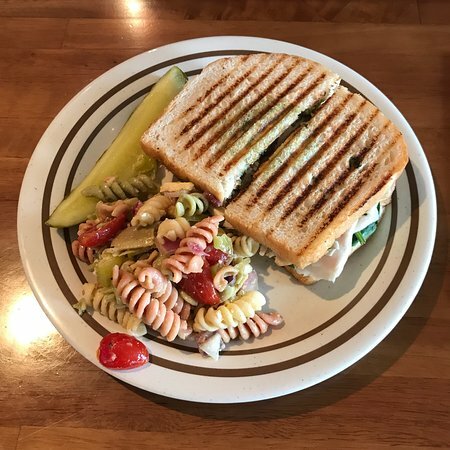 The pasta salad was okay, but everyone was raving about the sandwiches! Get quick answers from Roman's staff and past visitors. Dogs are very common in outdoor patios in Asheville, though they must be on a leash. 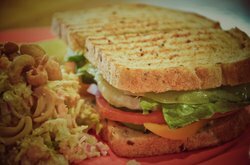 Yes we do carry gluten-free bread which allows you to enjoy our entire menu. 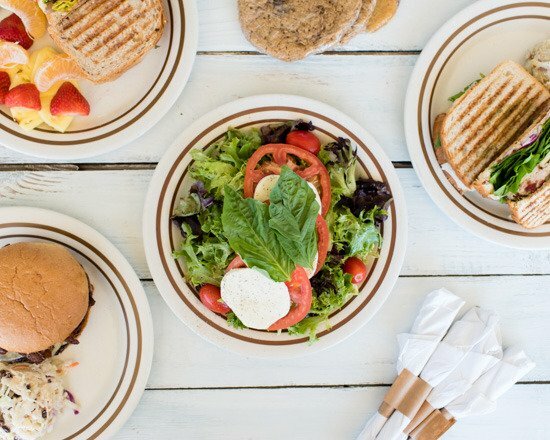 We also make all of our salad dressing in house and they are all gluten free.